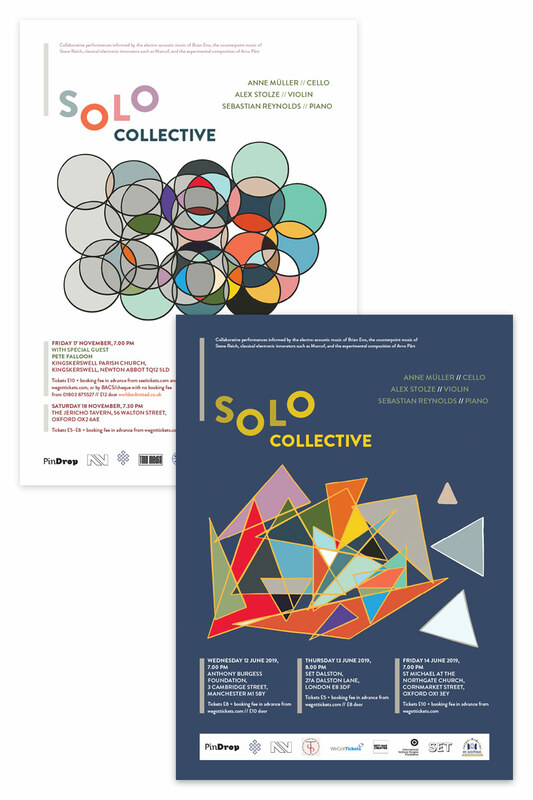 Solo Collective are a musical trio made up of Anne Müller (cello), Alex Stolze (violin) and Sebastian Reynolds (piano). Their music is described as "collaborative performances informed by the electro-acoustic music of Brian Eno, the counterpoint music of Steve Reich, classical electronic innovators such as Murcof, and the experimental composition of Arvo Pärt". The poster designs for their 2017 and 2019 tours combine illustrations by Müller with typography and layout I created to reflect the nature of their music.